At the Oslo Life Science Conference 2016 we explored how we can create a leading Nordic Life Science hub for research, education, innovation and business in Oslo. Watch the videos and download the presentations from the conference. The videos are produced by Arve Nordland and Yvonne Pettrém, UniMedia, UiO. Swipe on the arrows on the picture to move to the next image. Below each image you will find a link to a video and a PDF of the presentation. 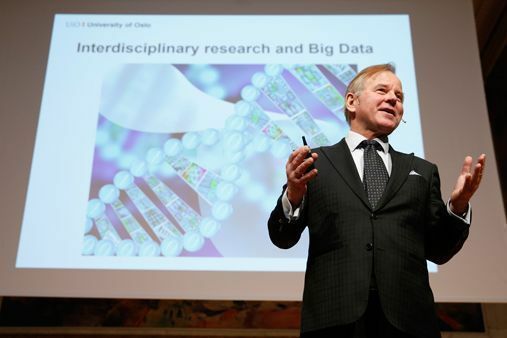 UiO:Life Science is the largest priority area in the history of the University of Oslo. With the Oslo Life Science Conference, the university wish to create a meeting place for researchers, students, government officials, the business community and politicians who share our visions for Oslo Life Science.